Friends of mine at minifigforlife.com sent over a couple of cool new lego items they are putting out. Shaun of the Dead is excellent. So I teamed them up with a couple of Star Wars characters I already had and it begged the question… who would win that throwdown? 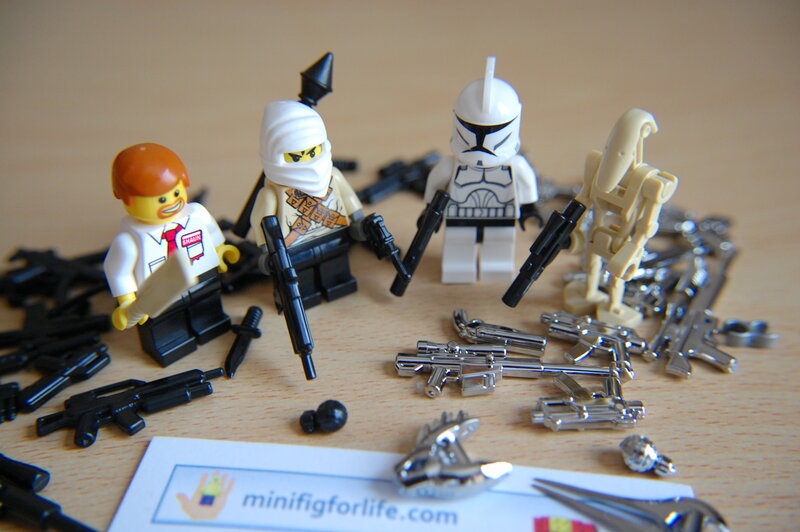 This entry was posted in Uncategorized and tagged clone, droid, lego, shaun, st, stap, star, stormtrooper, trooper, wars. Bookmark the permalink.